One of the best thing about being a blogger is the community of bloggers that I’ve gotten to connect with. I’m always surprised by how supportive and friendly other bloggers are. People go out of their way to help each other. Mentoring beginner bloggers and passing on tricks that they’ve learned along the way are just some of the many ways bloggers support each other. Never have I ever felt that blogging is a competition, that I’m being judged for my blog not being good enough, or that my blog isn’t big enough. In all fairness, my harshest critic is probably myself! One of the blogging groups I belong to, Food Bloggers Central, is hosting a Blog Hop! We’re hosting a virtual recipe circle where in addition to making one of our own recipes, we also make another awesome blogger’s recipe. The happy task fell upon me to make a recipe from Feed Your Soul Too. There were so many great classic recipes to choose from it was hard to narrow it down! Peter is from Chicago and specializes in easy and delicious meals that bring the whole family together. 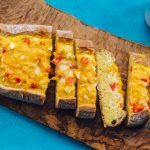 In addition to these baked egg boats, some of my other favorites recipes from Peter’s blog are his salmon paella and this Greek 7 Layer Dip. You absolutely have to check his blog out. Bobbie from Bam’s Kitchen made one of my earliest food blog adventures, Kimchi Fried Rice. (Spoiler alert – my food photography has without a doubt gotten a lot better in the last three years). It was so fun to see the nice update she gave to one of my old favorites! 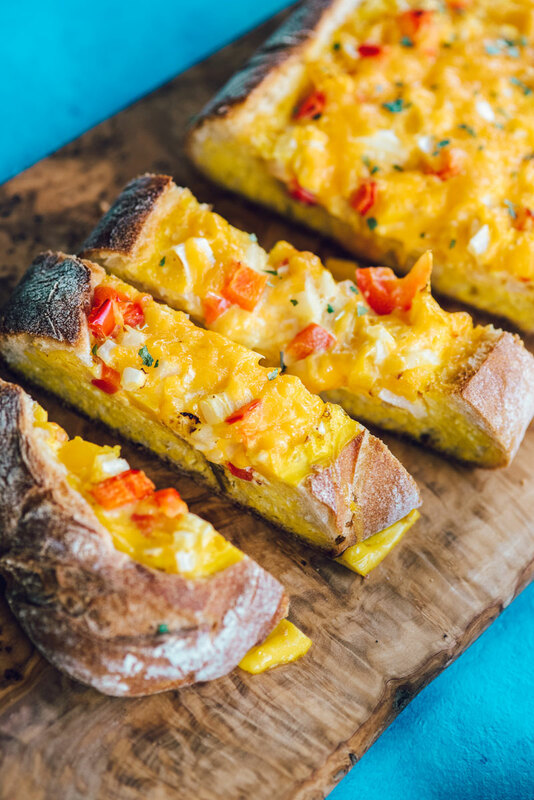 The warm cheesy eggy goodness makes these one of my favorite breakfast recipes! 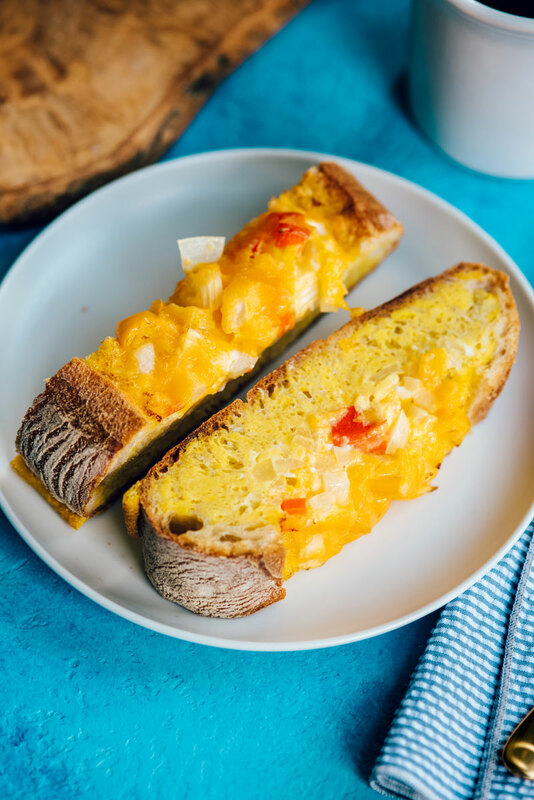 Do I have you craving this easy breakfast recipe? 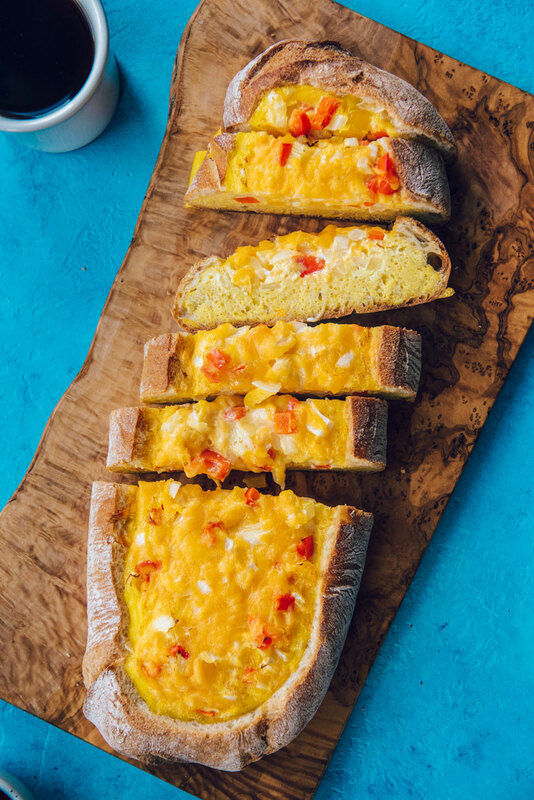 Pin these baked egg boats for later! This looks so good! It looks festive for an Easter brunch. True! It would be great for Easter! I second your thoughts on the wonderfulness of the blogging community, especially here in the Bay Area! And this sounds yummy! I’ve never made a “boat” meal before, except maybe utilizing a sweet potato as the base. Eggs? Always a good choice! Ooo, I bet sweet potato would be great in these if it was slightly pre-cooked first! Kelly, thanks for using my recipe. Your egg boats look better than mine. Beautiful pic. Hey Peter! Thanks so much for letting me share it! It’s definitely become a breakfast favorite! 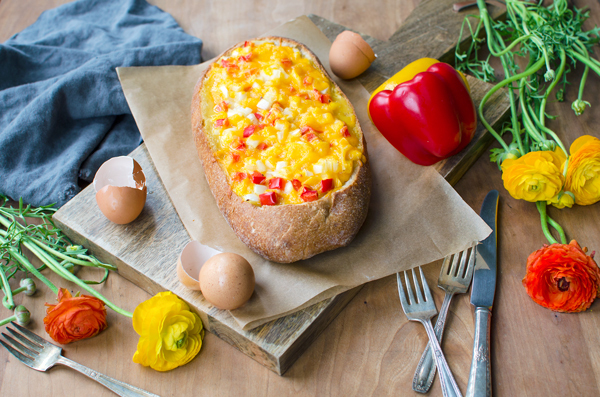 What a colorful and fun way to dress up breakfast. Not only is this beautiful but it is also easy to make??!!! What??!!! Win-win. Thanks Lynn! I agree, I need more recipes like this! That looks absolutely divine, and so beautiful too! 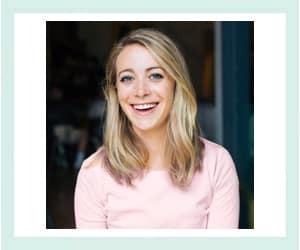 That sounds like such a fun blog hop! 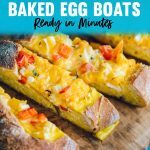 These egg boats look fantastic! I love the bright and pretty colors! It was a fun way to connect with other food bloggers! Yes! And hardly any dishes to clean up if you cover your baking sheet with parchment paper! Whoa… I can’t believe I have never thought of this! This looks amazing! 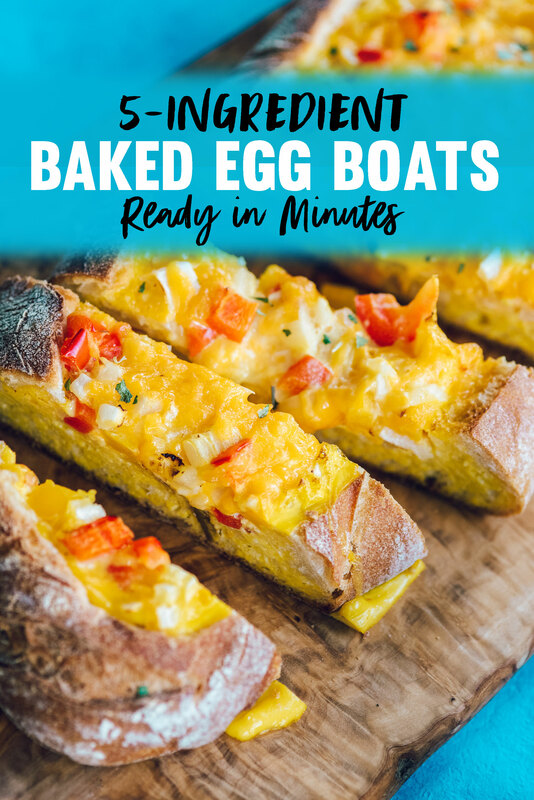 Egg boats! What an amazing idea! 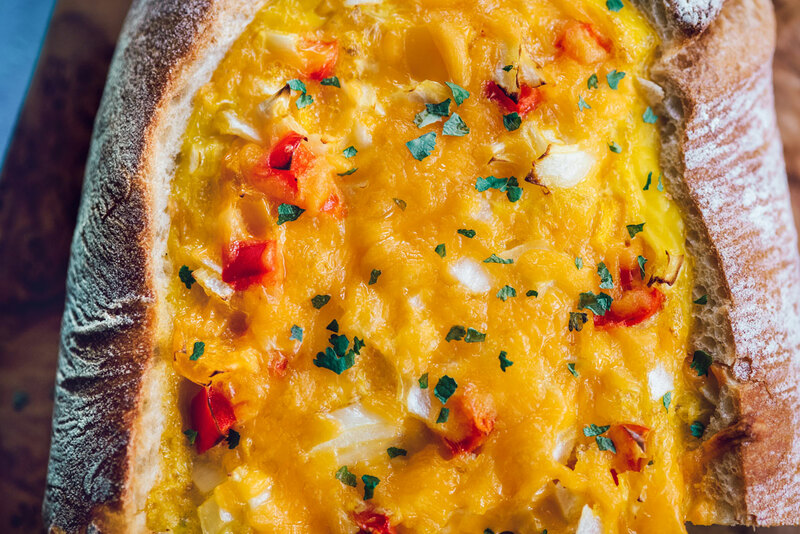 This would be great for a big group or potluck brunch. Thanks for sharing! I have @disqus_BoqunfnTE3:disqus to thank for the inspiration! Thanks so stopping by Lisa! This looks AMAZING! Love the creativity of this recipe! Thanks so much! I promise they taste even better! 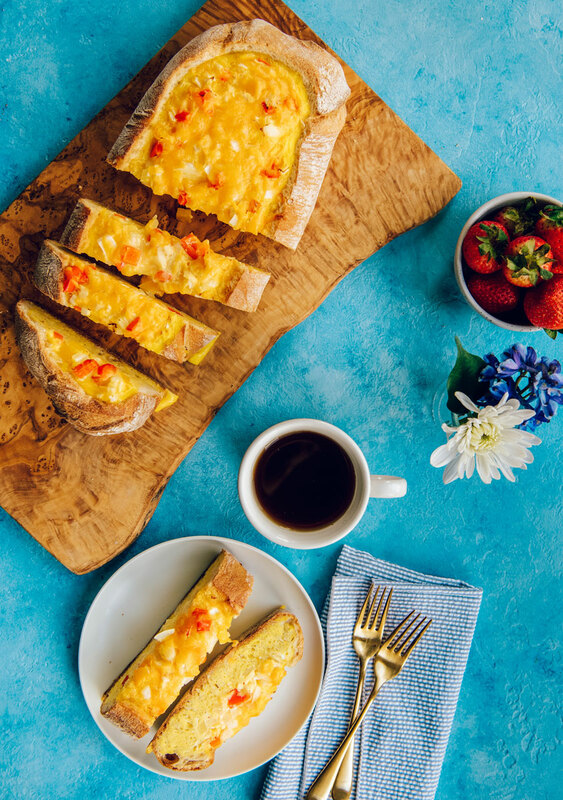 I love easy and fast breakfast ideas! I am definitely trying this recipe. Thanks for sharing! Yummy! This is a truly delightful dish! What kind of onion did you use? Either yellow or white onions will be great in this! How can you make such nice egg? It looks really like the boat. I like it. I am trying to find out as many egg recipes as possible. This would be my choice for breakfast. Can’t wait to try it. I hope you do get a chance to make it! Make sure you tag me on Instagram if you do!